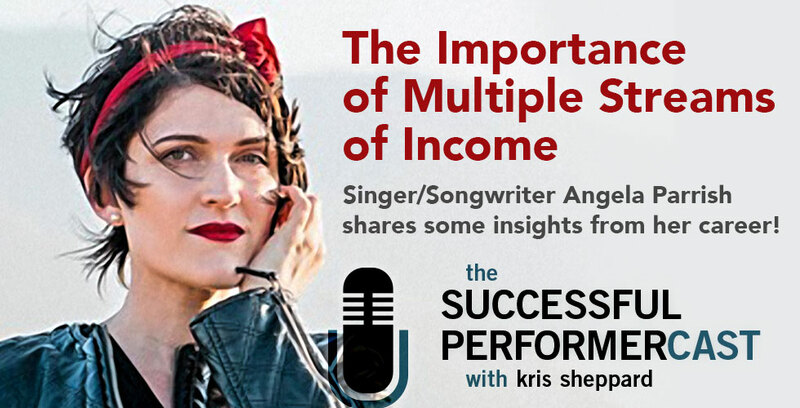 • Talks about the different streams of income she has which include performing, album sales, and teaching piano. • Teaching people one on one. • Limiting how much she teaches so she can focus on the other aspects on her business that she has more passion for. • Talks about the different percentages each of her streams of income are bringing in and where she’s focusing. • Music industry in general and where she thinks it’s headed with music being sold online and subscription services like Spotify. • How people will support the artists they love. • How Periscope can help to build an audience. • Tells how she wasn’t good at managing her business and how she got better. • Read All You’re Worth by Elizabeth Warren teaches how to manage your finances. • 50% of your income is survival/basic needs, 30% is discretionary, 20% is savings. • Talks about how she self-funded her album, hiring all of the help she needed in musicians, studio work, designers, etc. • Tells how much it took to create her album. Spoiler alert: It was roughly 20,000 completely self-funded. • Not giving up, yet knowing when to quit. • How all your experiences make up who you are. • Taking risks to be true to yourself and your art. • Talks about her early performing days. • Immersing yourself in the community that you want to be a part of. • Balancing business and art. • The importance of building a following which makes you more attractive to labels and other people to work with. • Collecting emails. Opt-in magnet. Putting out her record without any business knowledge. She feels it isn’t doing as good as it can be and now she’s changing that. The songwriter’s hall of fame competition and being recognized by her peers. Don’t sell yourself short. Set out to accomplish your dreams. Dance with fear. Firewalker Video featuring magician Roby Sobieski. Video Produced by InnerImage Media. Where can we find Angela Parrish?